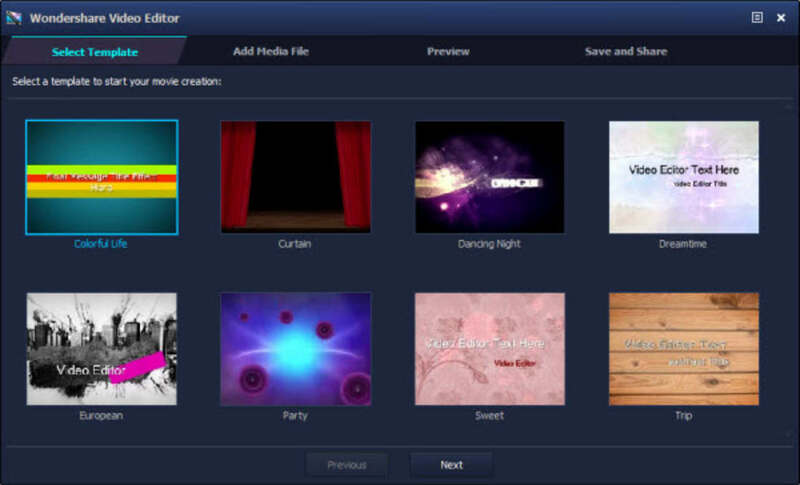 Add text templates, filter effects, PIP and transitions you like to favorites. 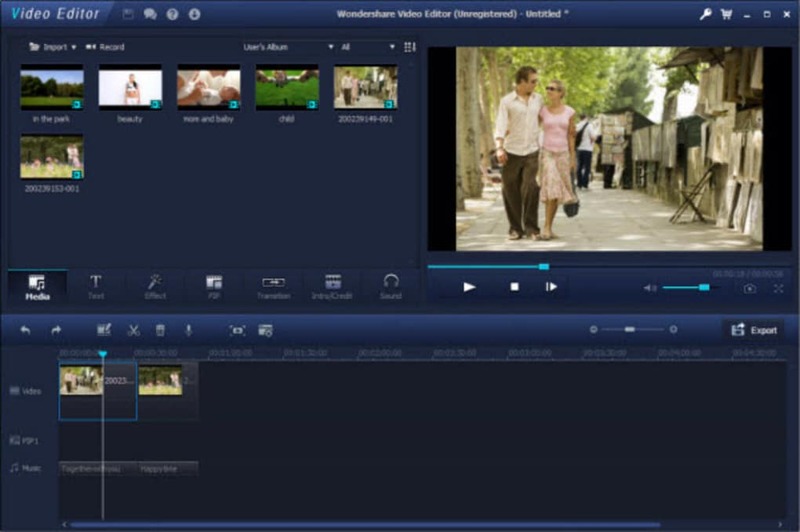 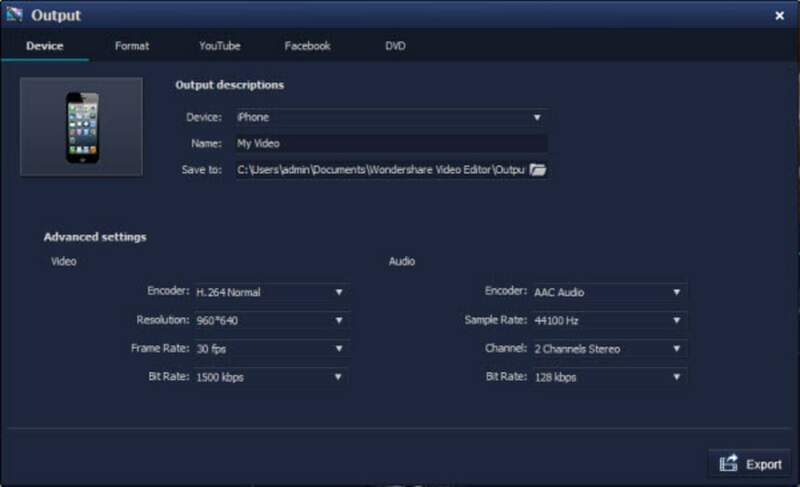 Wondershare Video Editor lets you edit and create videos, adding effects, sound and transitions. 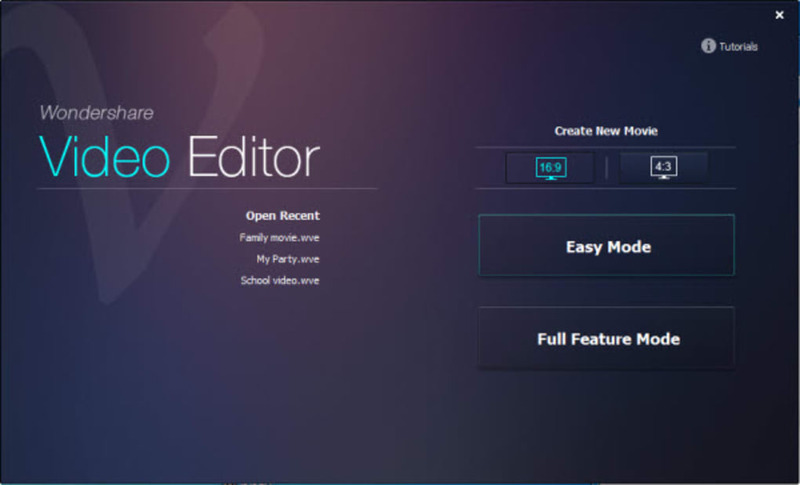 It's ideal for beginners, as the layout mirrors professional apps like Adobe Premier, but is much simpler. 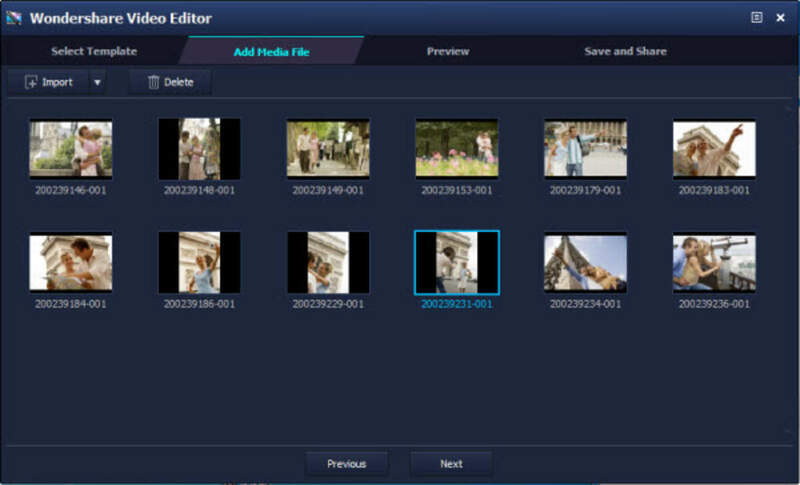 With Wondershare Video Editor, you simply import video and sound files into the Media window, and then drag them onto the time-line below. Here you can edit your files, adding sound, effects, trasitions between scenes and credit sequences. 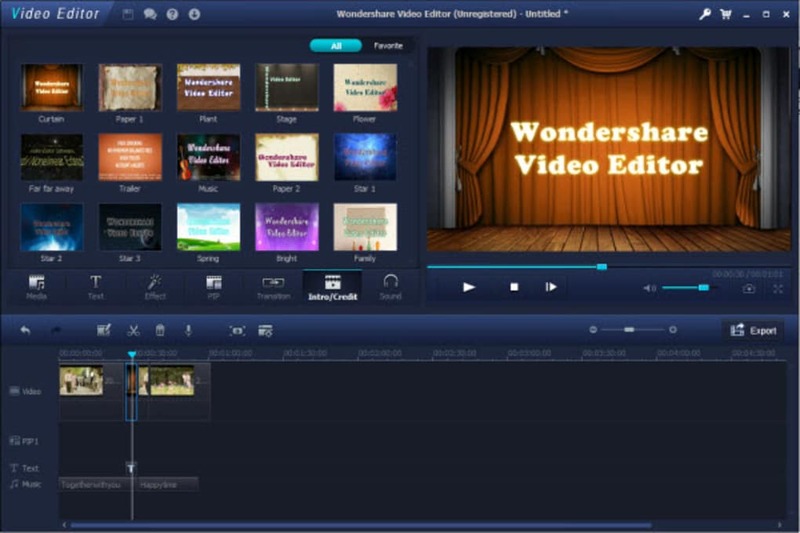 The basic editing and transition tools are good in Wondershare Video Editor, allowing you to quickly and easily stitch together a video from clips. 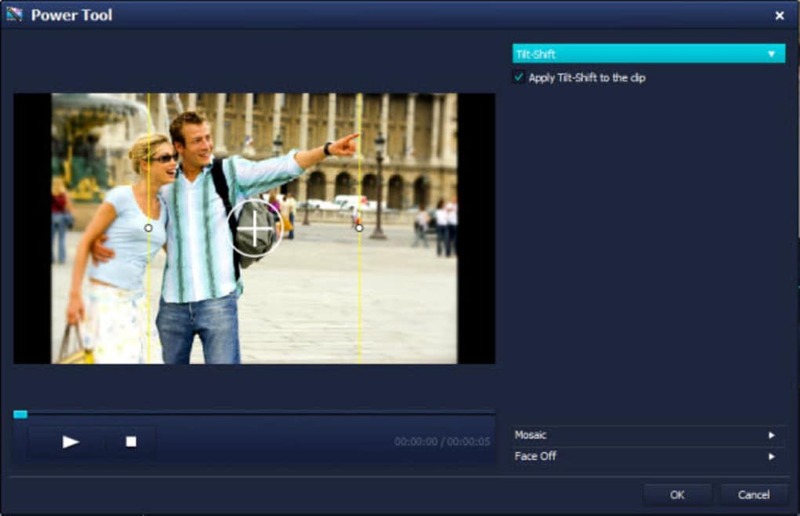 The additional tools - effects, text and intro/credit are very basic. 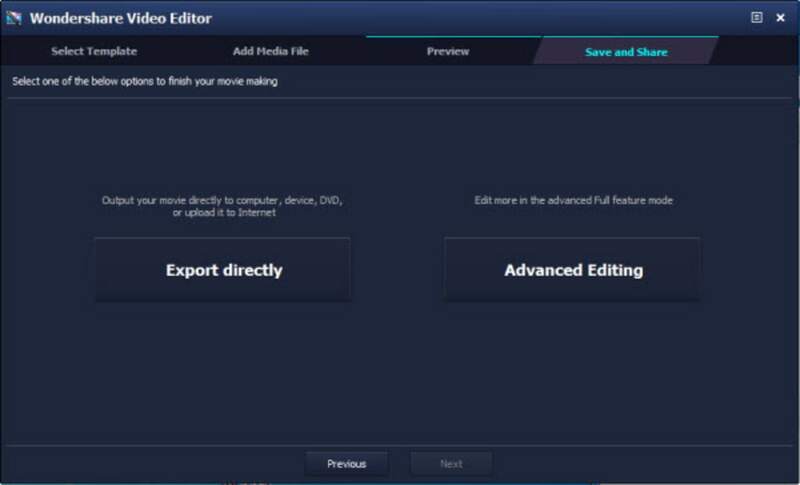 They don't allow for much creativity, and they give you pretty cheap looking results. 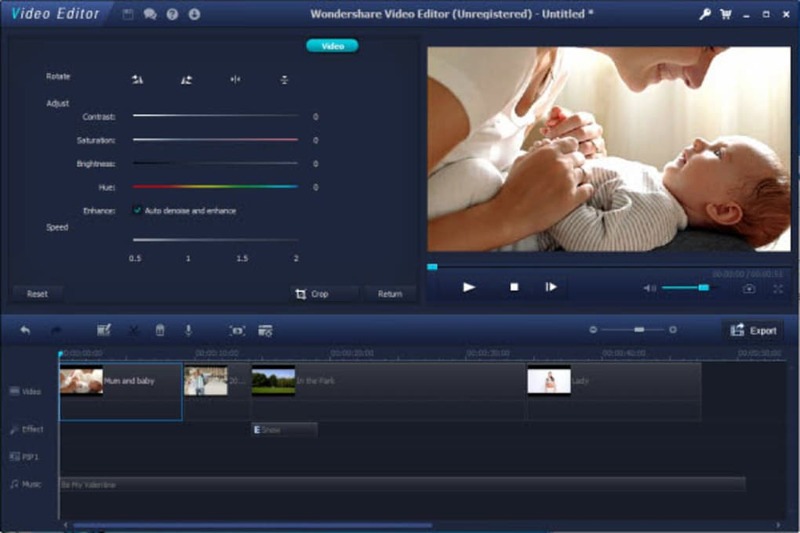 If you're looking for an easy way to edit videos, but aren't ready for Premier, Wondershare Video Editor is a good place to start. 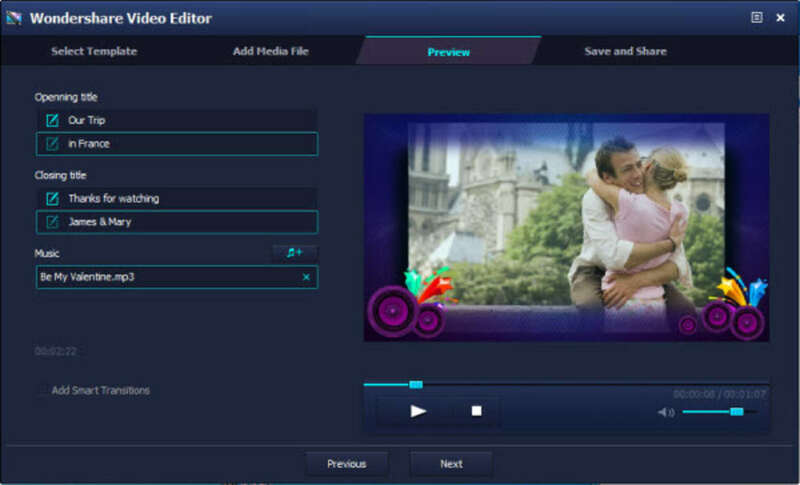 It may lack subtle features, but its essential editing tools work well and can give you good looking results.